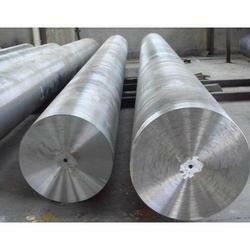 Our clients can avail from us an extensive range of Monel 500 Round Bars which finds its usage in various industries. These Monel 500 round bars are available in a variety of dimensions, thickness, lengths and sizes. The range is known for corrosion resistance, thickness and sturdy construction. Our range of Monel round bars come in different grades and standards..
We bring forth our clients a wide assortment of Monel 500 Round Bars that are known for their durable and corrosion resistant features. These products are made of Monel400 and are available in different grades Monel 500 (UNS No.5500) and standards ASTM / ASME SB 164. These round bars are known for myriad of lengths, dimensions and thickness to fulfill the needs of our domestic and international clients. Looking for Monel 500 Round Bars ?